Chromebooks are cheap, compact, lightweight, versatile, and durable — so you should definitely pick one up for your next laptop, right? Not so fast, potential portable computer buyer, because there are still a number of areas where Windows and macOS have a distinct advantage, and we’re going to go through them here. Our intention here is not to rain on the Chrome OS parade, as we happen to think chromebooks perfectly suited for a lot of users, with their own set of strengths (affordability and limited bloat being two of them). But we do want you to make sure that you’ve weighed all the pros and cons before parting with your cash. You’re no doubt already aware that Chromebooks rely on the cloud rather than local storage, but it’s when you hit the road and have patchy wifi that the difference really hits: you can’t easily listen to music on the train, or watch movies on a plane, or dig deep into your 5,000-track-strong iTunes library when you’re vacationing in a cabin in the woods. If your Chromebook supports Android apps, you can fix this to a certain extent — by syncing offline Spotify playlists, for example — and apps like Plex give you an option to stream content from a server at home. Even with these workarounds though, it just doesn’t compare to having stacks of movies, TV shows, and music stored on the local hard drive. Chromebooks rarely have more than 32GB of storage on board — that’s less that most phones! 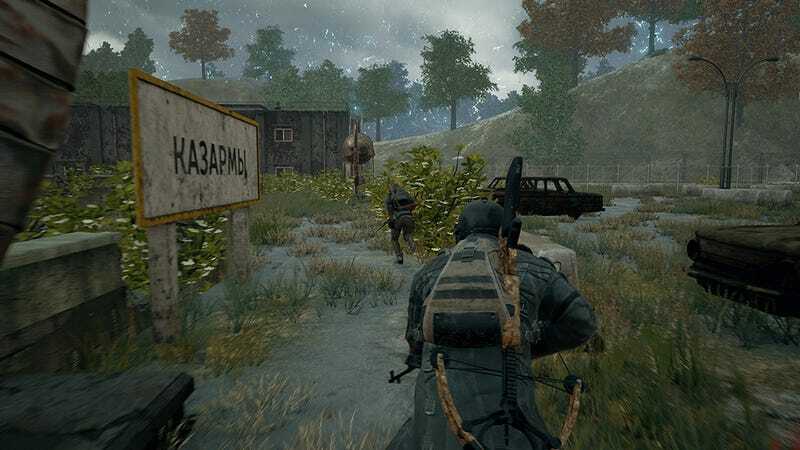 Gaming is slowly shifting towards a streaming future, but until we’re all enjoying rock-solid broadband connections capable of holding a steady 4K stream without a hint of lag, we’re stuck with the current status quo. That means you’re not going to be able to play anywhere near the level of games on a Chromebook as you can on Windows or even macOS. Not only do Chromebooks not have the storage space for all those beautiful game assets, they don’t have the processing power to render top-drawer titles at acceptable frame rates either. There is one caveat though: If you buy a Chromebook laptop that supports Android apps, you can at least enjoy the best games that the Google Play App Store has to offer. Of course there are online photo editors (here’s one) and video editors (here’s one), but compared to their desktop counterparts they’re very bare bones. When it comes to doing serious encoding or applying some substantial enhancements, Chrome OS falls down (and that’s before you get to the issue of having a limited amount of local storage space). In theory you can upload photos and videos from your smartphone (or even a connected camera) to the cloud, then fire up an online editor to get to work — the basics are all covered. 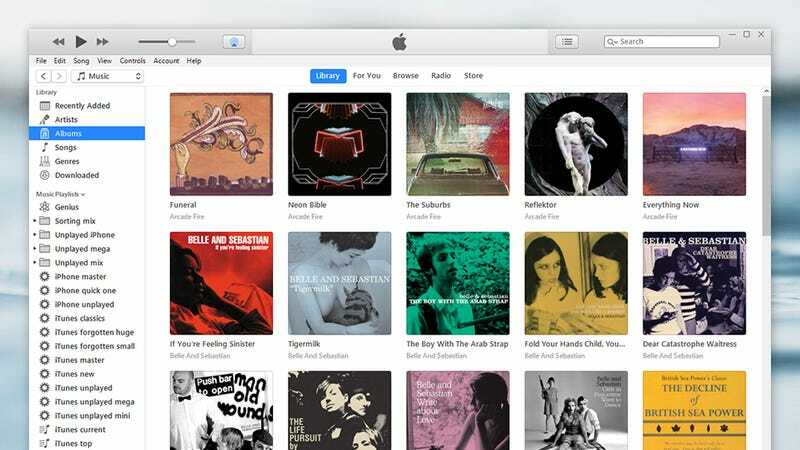 But when it comes to dealing with large files or chewing through some complex processing, the apps that live inside your web browser are going to be found wanting. 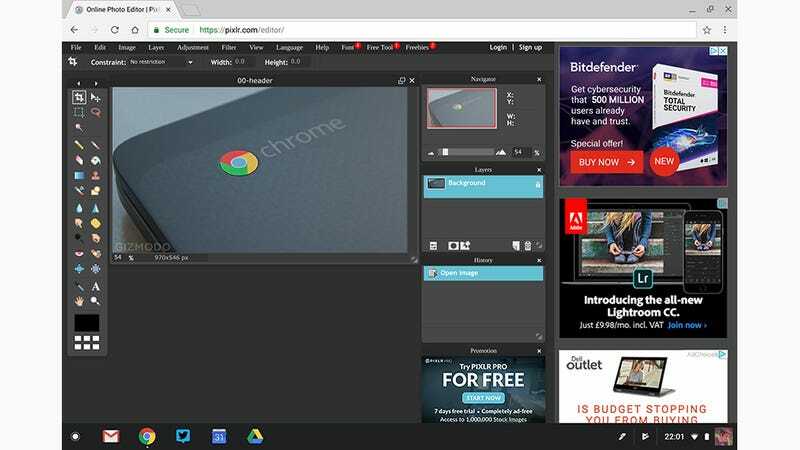 Chrome OS has basic multi-window support, but Windows and macOS are still a long way ahead in this department — not only in how windows (and indeed built-in virtual desktops) are managed on screen, but also in how those windows display content. 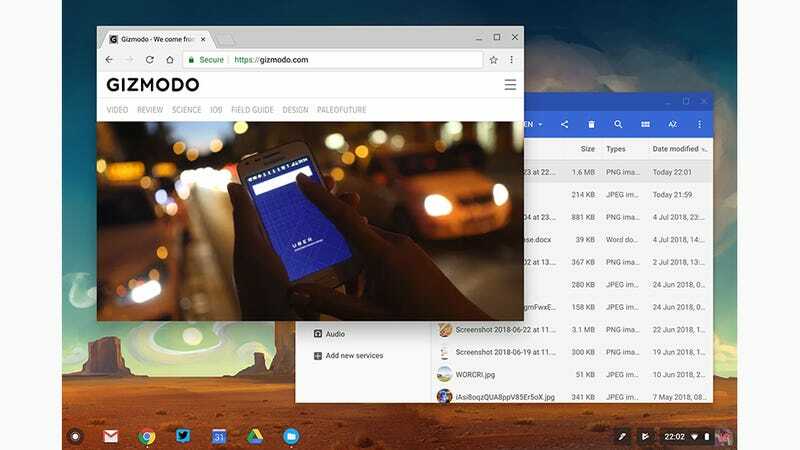 On Chrome OS, every window is basically a responsive website, and the interface suffers for it as a result. 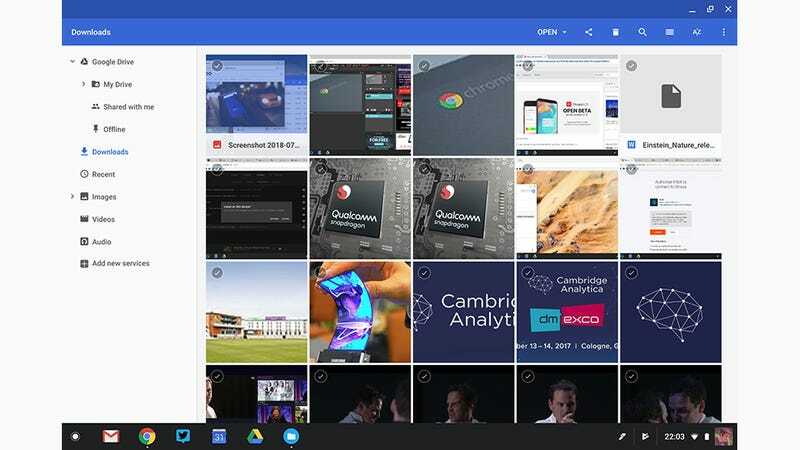 In situations where you need a lot of applications up on screen and want to be able to quickly flick between them, web apps and Chrome OS don’t quite cut it at the moment. On top of that, most of the Chromebooks on the market make use of small, low-resolution displays to keep costs down and battery life maximised, and that compounds the problem. One of the hardest times we have with Chromebooks is when we need to organise files into folders and subfolders, and perform tasks like duplication or deletion. On Windows or macOS this can be done quickly and easily, with a flurry of keyboard shortcuts and mouse (or trackpad) movements that get files from one place to another with hardly any fuss. Not so, alas, on Chromebooks. Whether it’s the sparse interface of the built-in file manager, or the bare bones web interfaces of Dropbox or Google Drive on the web, moving files around feels like a chore. 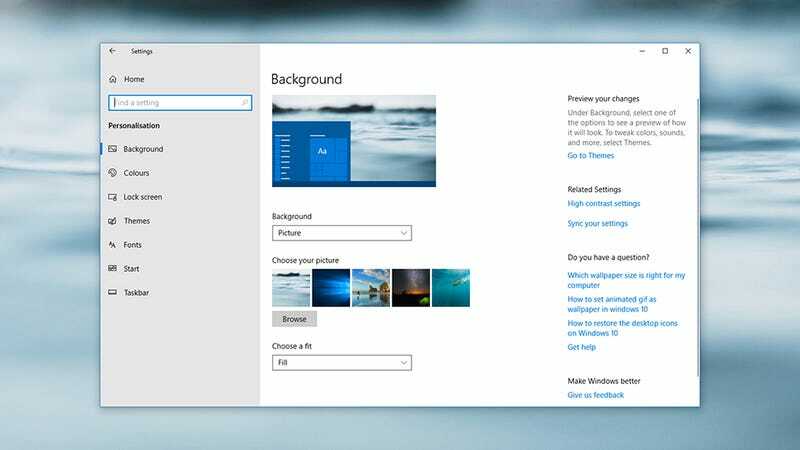 These web apps are fine for basic operations, but they can’t compete with the sophistication of File Explorer or Finder for getting your data organised. You can modify macOS and especially Windows down to the last pixel if you need to — not only through the built-in customisation options (macOS is getting more soon), but also through the wealth of third-party plug-ins and applications you’ve got to play around with. As for Chrome OS, well, you can switch to a different wallpaper picture if you want to. Of course part of the appeal of Chromebooks is their minimal aesthetic, but if you want to make your computer interface your own, your choices are limited on Google-powered laptops: That goes for the different way you can organise and launch apps as well as the different options you’ve got for revamping the look and feel of the operating system. Finally, the obvious one. It’s true that Windows and macOS also rely heavily on having web access to be useful, and it’s true that offline support in web apps like Google Drive and Gmail continues to improve, but you still can’t do all that much with a Chromebook when it’s offline – especially if you haven’t synced any files or documents to it ahead of time. 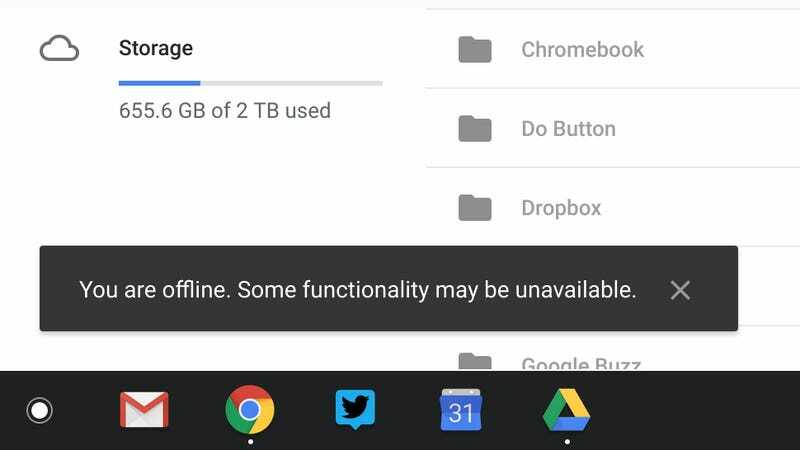 You can tap away in a Google Docs or Google Sheets file (with the changes synced next time you go online), but the available features are limited in offline mode; you can also play any videos or audio you’ve got saved locally, in a simple browser tab. To really be productive when you’re away from wifi though, Windows and macOS continue to be the better choice.